Habersham County utilitizes Nixle, a national Community Notification Service, to improve communication with people who live, work, and visit our area. The system provides a quick, efficient, and secure way to get neighborhood-level information out to community members who subscribe to the system. Using www.nixle.com, the County sends text message (SMS) and email alerts to subscribers in a specific area. The county website also offers a service for subscribing to specific information. A young child or adult with Alzheimer's disease walks away from their home. The alert can include a picture of the child or vulnerable adult with a map identifying the area at which they were last seen. A public safety emergency requires people to stay in or remain away from their homes. A serious injury or fatal crash in which traffic investigators close down an intersection or section of roadway for several hours during the morning or evening commute. This situation might warrant a notification to subscribers who live or work in the area, encouraging them to select a different route to work or home. Community events such as parades, fireworks, picnics, etc. Nixle delivers messages securely to local residents by email and cell phone, supporting and expanding our community outreach efforts. 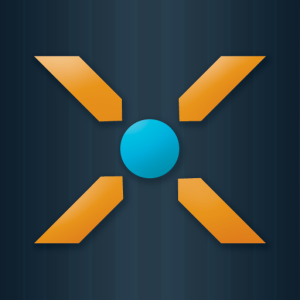 Nixle is a secure communications service. There is NO spam or advertising associated with Nixle Municipal Wire messages. The system is available at no cost (standard text message rates apply for subscribers who do not have text plans with their cell phone providers). Obviously, the system will be most effective when we have large numbers of subscribers. Please spread the word about our use of the system and add this information to the bottom of your email signature: "Up-to-the-minute updates from the County by email and cell phone". Residents can receive technical and non-technical assistance directly from Nixle by sending an email to support@nixle.com.